Star Trek Armada III Releasing December 25th – Trailer! As we head into 2017, I find myself wondering just what to do with “Hailing Frequency”. We haven’t produced any new podcasts for quite some time now and yet traffic to the site is still high. The forum is not particularly active, yet unique visitors to the site have remained consistent so it does seem to be clear that there is some “hunger” for gaming related news and info. That being said, the Star Trek Gaming community is still not anywhere near the highs of the early parts of this century – just one or two new games a year and nothing in the “AAA” category. 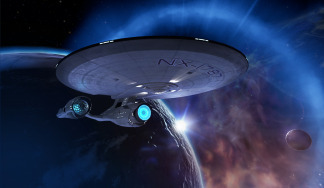 In 2017, the only slated released is “Bridge Crew”, a VR Star Trek Game by Ubisoft. Being a VR game however, it cannot become a huge hit as the VR market is still fairly limited. I myself purchased an HTC Vive just a few months ago at a cost of around $600 dollars and then had to throw down another $1300 upgrading my computer to the point where I could run VR games at the settings needed to avoid motion sickness. 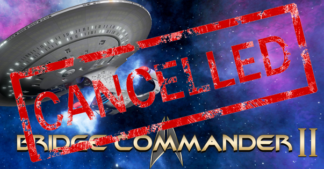 Therefore, we may very well need to branch out and review some other Star Trek products in order to keep content alive on the site. We shall see. 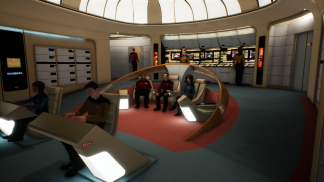 In the meantime, Bridge Crew is slated for release in February and I will definetly be reviewing that. I’ll see if I can figure out how to produce some videos from it too. Live long and prosper all!